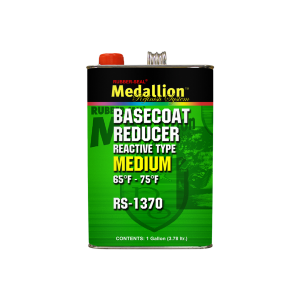 Medallion Refinish System's premium blend of virgin solvents and resins are designed to hold basecoat color in place and prevent mottling. Ideal for use in temperatures ranging from 65°F - 75°F (18°C - 24°C). Packaged in gallons and five-gallon pails.